This is a wonderful new integrated treatment. This very deep therapeutic massage of the whole body is energizing and relaxing. It is a unique method of massage invented and developed by an Australian - Alan Earle. It is a mixture of a few elements. It is classic and Polynesian massage combined with the Bowen technique, reflexology, working with meridians and acupressure points as well. It is a bio- massage because it involves transfer of highly vibrant energies and polarity to balance the body's energy and brings about a sense of healing. The PeLoHa massage can be given both, to adults and to children as well as to disabled or elderly people and to pregnant women. This massage is given in a tranquil environment using high quality warm massage oils and arrangements of fragrances which create a sense of wellbeing and invigoration. During the therapy the person being massaged usually does not feel the passing of time. •It can be given when accompanied by appropriately selected music and crystals. •It lasts for about 90 min. •The PeLoHa massage has no side-effects. Trigger points are responsible for both motor and sensory problems. Muscles with trigger points can have poor firing patterns, weakness, stiffness and decreased range of motion. Trigger points make your muscles work in an inefficient manner and can cause overload to other muscles that function biomechanically with the problematic tissue. Additionally, trigger points are often a key source of pain. They are associated with local tenderness and referral of pain to distant locations. Trigger points can alter the sensitivity of the peripheral and central nervous system resulting in increased firing of nerve receptors which transmit pain signals. Increase range of motion, flexibility and strength. Improve sleep, a common problem associated with myofascial pain. Chocolate massage treatments has beneficial affects on the human body and psyche. It is performed with warm Raw Organic Theobroma Cacao Butter diluted with Raw Organic Coconut Oil. (aprox. 80% Theobroma Cacao ).They are completely absorbed by the skin, so there is no worry that our bodies will stick to the clothes or that the clothing will get stained. Chocolate massage uses the valuable properties of cocoa beans, which have regenerating, nourishing and improve micro-circulation of the skin. Great chocolate smell accompanying the massage stimulates the production of happiness hormone (endorphin), gives a feeling of relaxation and well being. The skin smells like chocolate, is hydrated, soft and velvety to the touch. Chocolate oil contains natural antioxidants and polyphenols. It beautifies because cocoa beans contain flavonoids that neutralize free radicals and accelerate aging. Rich in iron, magnesium, zinc, calcium, and caffeine, stimulating blood circulation in the skin, reduce swelling, and accelerate the burning of fat. 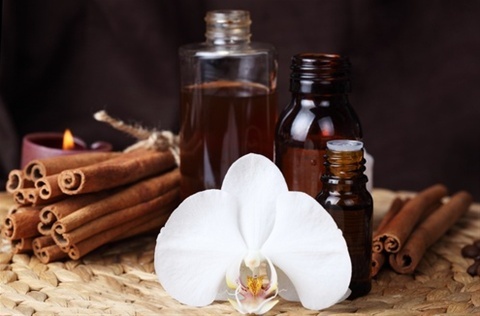 Revitalizing whole body massage including the elements of reflexology (hands, head, feet). Eliminates pains in the bone joints, migraines, muscle tension, gives the harmony of the general, everyday life. The intensity of the massage is always chosen individually. Polynesian revitalizing - relaxing massage "Ma-uri"
The Ma-uri massage is a Polynesian body massage having deep therapeutic function. It is one of the oldest healing treatments. it comes from the Huna tradition – old Polynesian beliefs. Ma-uri is a whole body massage excluding the intimate areas. It is performed by the muscles of the forearms with the sounds of very gentle music. The secret of its action is hidden in the dance and energy. Massage can be performed on anybody despite the age and the type of illness. Without any problem it can be performed on pregnant women. Ma-uri relaxes, loosens and enforces the physical and mental comfort. It brings back the natural life energy flow and helps getting rid of the emotional barriers, stress which accumulated in muscles. The therapist’s hands intuitionally find the painful places and the blocked energy. By moving he lymph, the massage helps with the detoxification, gives the deep physical and mental relax and calms down such health problems like: cardiovascular, breathing, nervous system, musculo-skeletal. The Ma-uri massage is a very effective one in reducing stress, fears, depression and makes gaining more energy. It allows getting inside the mind allowing at the same time the ability of falling in love with your body which is essential in self healing. In a four-hand massage, two therapists work on one client, often using synchronised moves. A four-hand massage can be like experiencing two full body massages at the same time. Therapists will use the client’s body as a form of canvas onto which they choreograph slow, detailed moves of varying paces and pressures. When two therapists and four hands hit your body, your mind reacts differently. At first you might find yourself trying to keep track of the therapists, where each one is and what each one is doing, struggling to keep it all in a very logical order in your head. But very quickly your brain realises it’s not sure who is doing what, and gives up control. This is a powerful treatment for anyone who has a hard time letting go during treatments. is designed specifically to relax the muscles and improve circulation and movement within the body. Chair massage also has several psychological functions as well. The philosophy of chair massage is to help you take control over your own health. When clients finish getting their chair massage, they are often overwhelmed by their sense of well-being. "What's most important is we make clear to people that they are in charge of how they feel. Our society often promotes an unhealthy expectation that as you age, you naturally become uncomfortable. One of the most powerful messages basic relaxation massage can give to the world is you don't have to feel bad." As the massage begins, the practitioner will do several things to ascertain your level of comfort. After you are settled into the chair, which is purposefully designed to evoke a nurturing fetal position, practitioners will perform a pressure test with their fingers on different parts of your back. This is your first chance to control the direction of the massage. Chair Massage has many important health benefits. In fact, massage can help you maintain physical, mental and emotional well being, especially when it is part of your regular wellness routine. 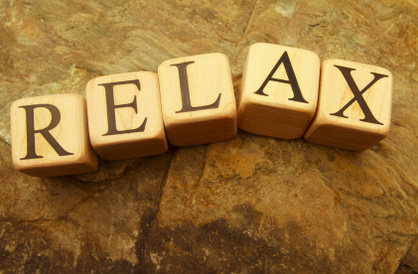 * Massage calms the nervous system and promotes a sense of and well being, relaxation. Any bookings before 12 midday will recieve £5 off the total cost. Discounts are offered to regular customers, bookings of more than 2 treatments, or group bookings. When you book more than 2 treatments of relaxing massage therapy, you will recieve a discount of £10 for each of the next treaments. ( Eg. a 3 hour long Pe-Lo-Ha treatments would cost £180: when booking your 3 treatments you will pay £150 and recive £10 discount on each treatment you book after that).